Globalization, paradigm shifts and ever faster technological changes are some of today’s greatest challenges that companies need to master in order to succeed on the market. Eva-Sophie Wiesmüller’s mission is to accompany and support companies and investors as they seek to assert and successfully position themselves in these markets. 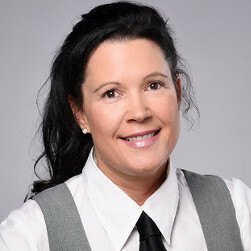 Eva-Sophie Wiesmüller places her main focus of action on providing consulting services for the fields of strategy, technology and digitization. She also works as an interim manager at senior and executive level for SMEs. Her various positions and activities in executive management for medium-sized high-tech companies in the industry and ICT sector mean that she boasts an outstanding network and expertise on new products, technologies and business models relating to Industry 4.0/IoT, platforms/data analytics, IT security, access & eID management, as well as m-Payment and e-Health.